Which doesn't work. It actually ensures we remain unfulfilled, miserable, and at war with ourselves--and that is a war no woman can win. So now comes the good news: There is a path to help you become the woman you are aching to become. This path is unruly, messy, a wee bit naughty, and audaciously asks you trust the very parts of you that you previously warred against. While this path has no script, map, or blueprint, you'll learn to use your sensuous, desirous, wildly feeling female body as a steadfast and trustworthy compass. To get you started, you'll have the best of guides: women's life coach LiYana Silver. "One of the most enduringly inspiring things in my life," says LiYana, "is to watch a woman slip the Gordian knot of self-loathing, people-pleasing, and over-achieving and become simply and fully herself." 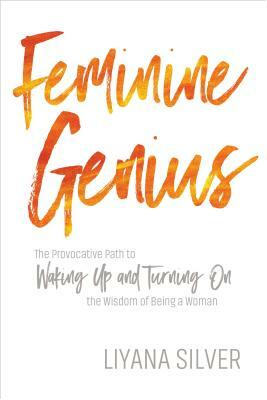 Explore the history, physics, and biology of a universe built for harmony between "masculine" and "feminine"
Feminine Genius is a provocative wake-up call, nudging you to uncork that fabulous flask and find out just how much magic you've been hiding. Because you do have a genie in your bottle--and genius in your body. LiYana Silver LiYana Silver is a coach, teacher, and speaker who helps women find the full expression of their feminine strength in work and life. Her offerings include her mentorship program Woman: The Embodiment Experience and her online course Ignite Your Feminine Genius. She lives in Asheville, NC. For more, visit liyanasilver.com.